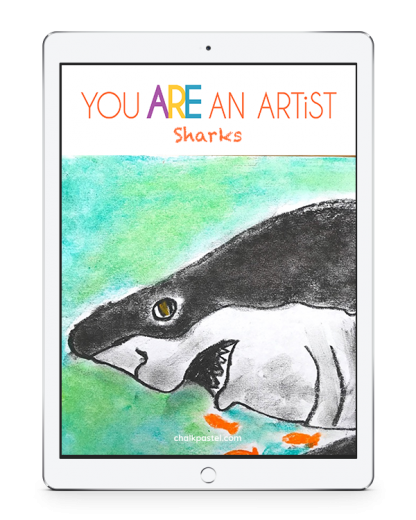 Sharks Video Art Lessons - You ARE an ARTiST! 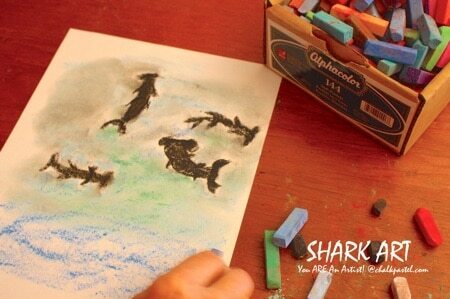 Nana brings the art fun with Sharks Video Art Lessons! 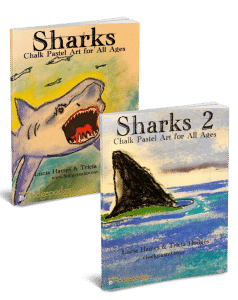 All it takes is a starter set of chalk pastels, construction paper and Nana’s video art lessons for a celebration of Shark Week or to thrill your shark enthusiast. No expensive, intimidating list of art supplies. 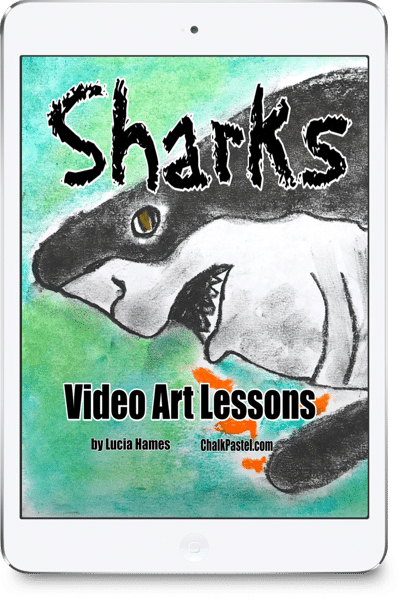 This set of Sharks Video Art Lessons is a wonderful stand alone art curriculum or a perfect complement to your summer fun or shark learning throughout the year. As always – it’s art for all ages. 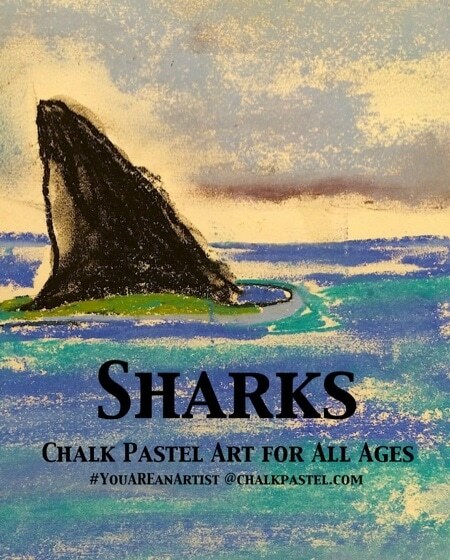 How to view the Sharks Video Art Lessons? Also known as Nana, Lucia is continually learning and taking lessons herself. 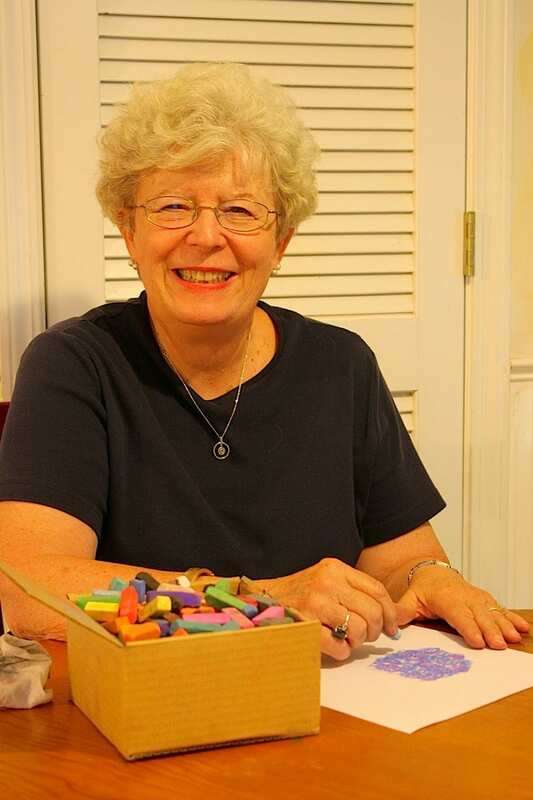 Her passion is to help you realize that you ARE an artist with this fun and successful medium! 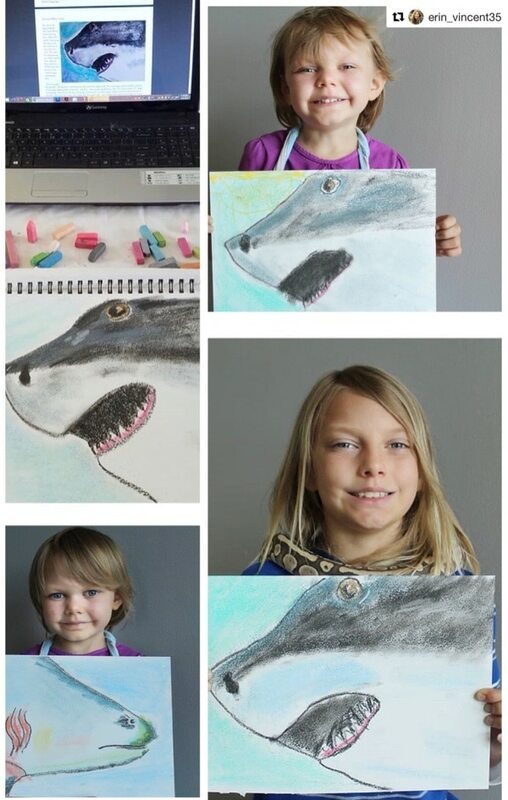 20 exciting, written, step-by-step shark art lessons with photo tutorials. All kinds of sharks! 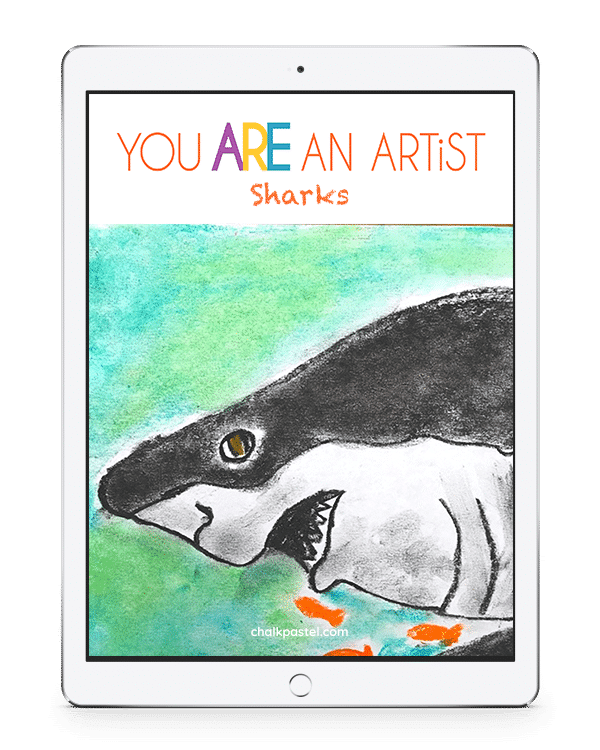 How Can You Use These Sharks Video Art Lessons? Supplement your marine biology studies! Celebrate Shark Week. We had a one month long shark study unit and this Shark Pastel Art Course by Nana and Team was the highlight of our study. Nana covered different types of sharks already familiar to us as well as those we had to look up. What’s more, Nana made sure to add some trivia about the shark and painted it with its particular shark feature as well as its habitat accurately. The paintings we made still adorn our classroom and bring back wonderful memories of our Shark unit! Do not miss this one!